In the United States, there are approximately 510,000 foster care children, and 129,000 of them are waiting to be adopted. Since 1987, the number of children in foster care nationally has doubled, and the average time a child remains in foster care has lengthened to nearly three years. 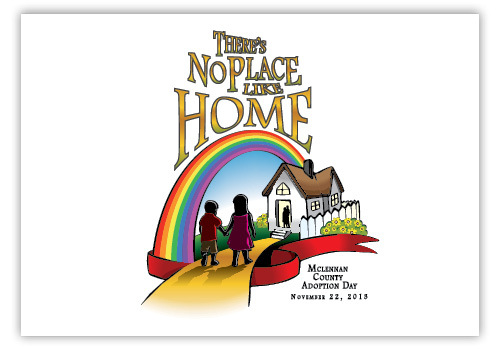 Each year, approximately 26,000 children in foster care will age out of the system without ever being placed with a permanent family. Nearly 48 million Americans have considered adoption from foster care, according to a recent National Adoption Attitudes Survey commissioned by the Dave Thomas Foundation for Adoption. 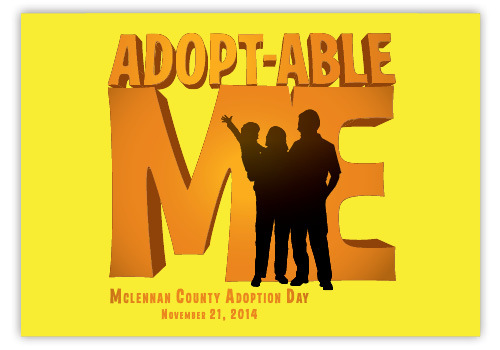 If just one in 500 of these adults adopt, all the 129,000 children in foster care waiting for adoption would have permanent families. 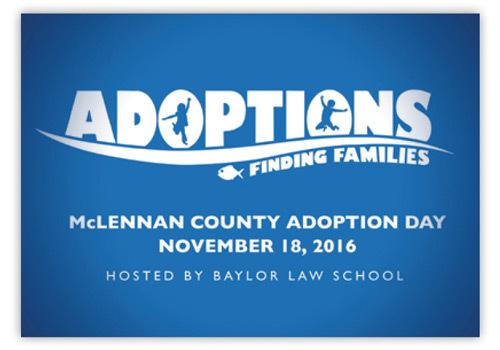 In an effort to promote and celebrate foster care adoptions, Baylor Law has been hosting the McLennan County Adoption Day Celebration since 2008. 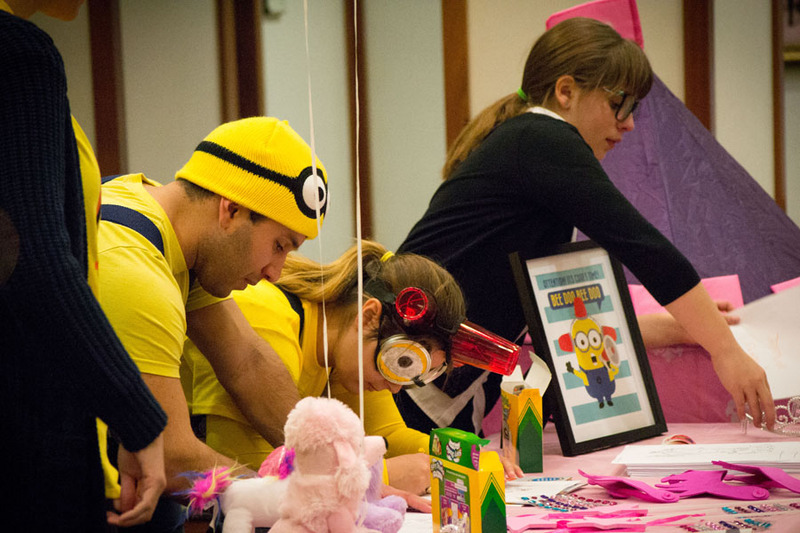 The event was created by Professor Bridget Fuselier, a faculty member who had personally experienced the joy of Adoption Day during her practice as an attorney. 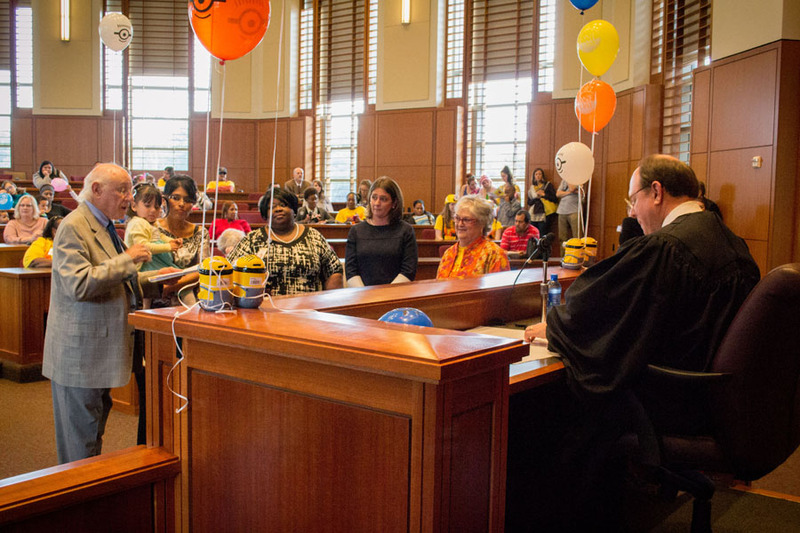 Through her time in Jefferson County, Texas, Professor Fuselier volunteered each year to handle an adoption for a family pro bono. Seeing how giving such a small amount of her time had such a profound impact on a family, she developed a great love for the program. 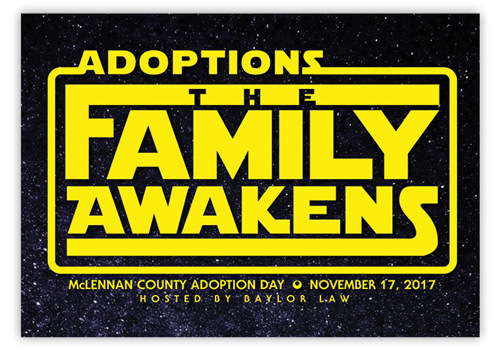 After joining the Baylor Law faculty and volunteering in McLennan County, Texas, Professor Fuselier approached the local Department of Family and Protective Services (DFPS) about partnering to have an event dedicated to adoption at the law school. 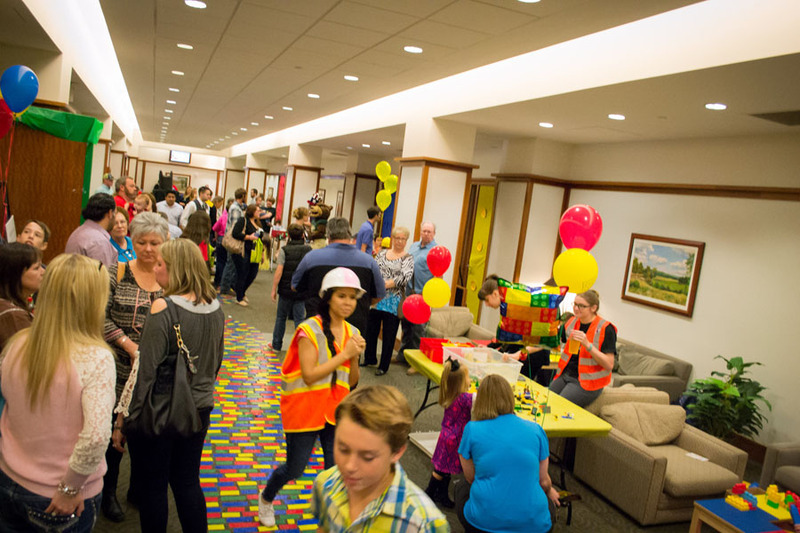 Since the beginning of the program in 2008, it continues to grow each year as an event that celebrates community and family. 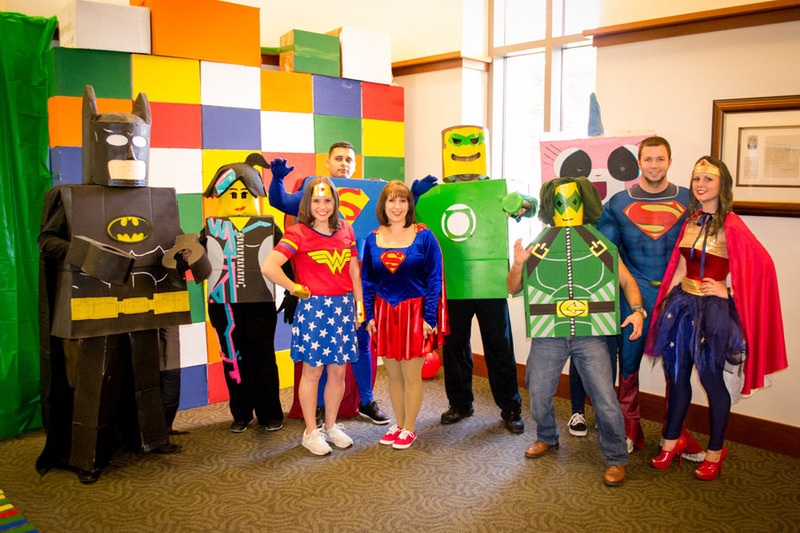 Each year the event is organized around a theme which children can relate to. 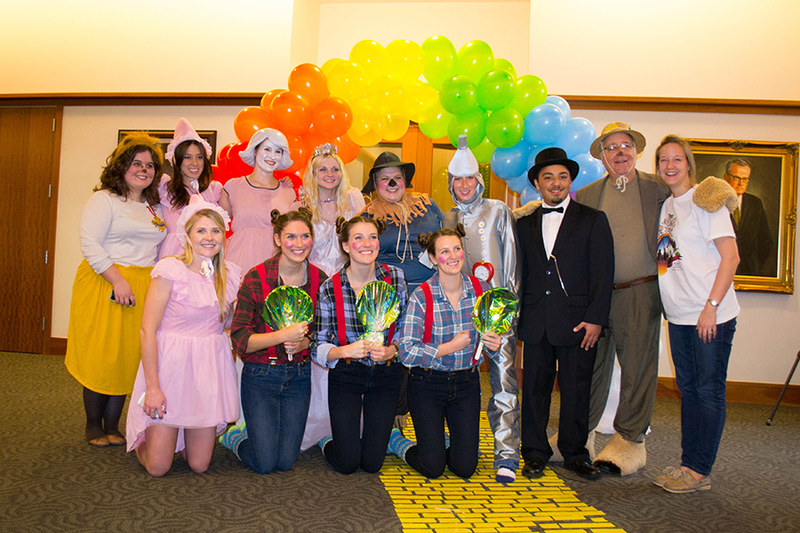 The school is decorated, students are in costume, and the families receive themed cakes and gift baskets. 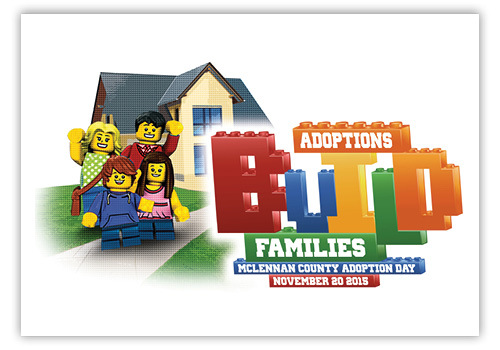 For more information on Adoption Day, or to donate a monetary gifts to support future Adoptions Day programs please contact Professor Bridget Fuselier at bridget_fuselier@baylor.edu. Visit the Baylor Law public service webpage to learn more about Baylor Law's additional public service programs.